We love our fellow entrepreneurs and small businesses in Edgewood. So featuring their products in our store is a must! Nestled in the wine racks and featured in displays throughout our store, you will find Café Rosé Wine. Café Rosé, located in the heart of Edgewood, specializes in hand-crafted, Iowa grown Wine. What makes this line of wine even more unique is the owner Rosie Totman. She pours her heart and soul into the development of each bottle. 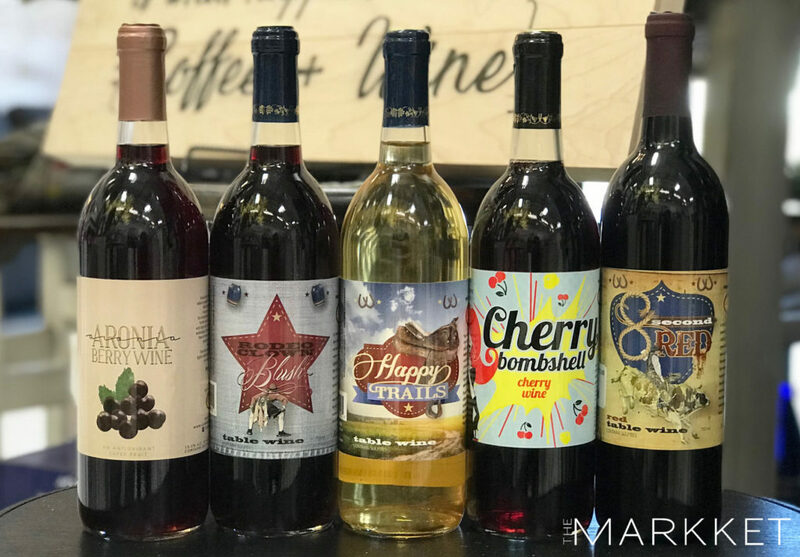 From her favorite red wines 8-Second Red and Rodeo Clown Blush to the rhubarb and raspberry wine Rhuberry, your love for her sweet small batch wines will have you coming back for more. Follow Café Rosé’s Facebook Page for updates on her wine and daily lunch specials!